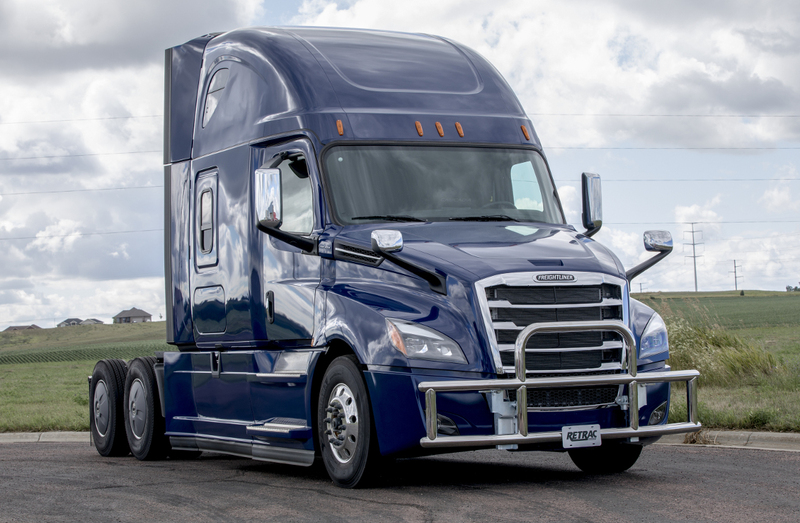 When you're an over-the-road driver, the weight of responsibility falls on you to transport your freight in a safe, efficient, professional manner. Nothing adds more confidence to your driving than solid front-end protection. The Tuff Guard XT™ grille guard is perfect as a deer bumper or simply to add extra protection to the front end of your truck. It features highly non-corrosive construction, a no-drill installation and complete compatibility with VORAD system and fog lights. No matter where you drive, exposure to the elements is unavoidable. 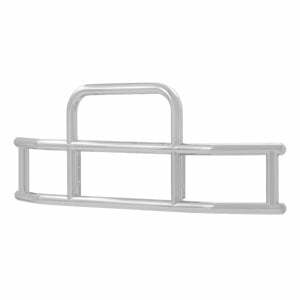 That is why the Tuff Guard XT™ semi brush guard is built from stainless steel. Stainless steel provides excellent protection against rain, snow, mud, sand and road salt and provides superior strength compared to aluminum. For maximum rigidity and dependability on the road, this deer bumper is made from 3" diameter, 14-gauge stainless steel tubing. 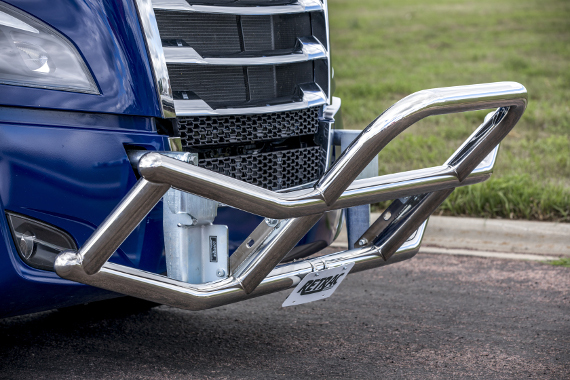 The tubing is welded together into a single piece in a double-stacked layout, helping to protect the bumper and grille without dominating the look of your truck. To promote even greater durability and enhanced style, the Tuff Guard XT™ grille guard is available in two finish options. The polished stainless steel option offers a bright, chrome-like shine and maintains excellent rust resistance in spite of the elements. 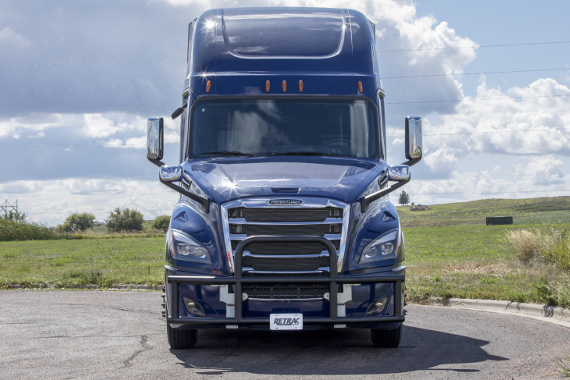 The black powder-coated stainless steel option adds maximum corrosion resistance as well as a sleek, professional look to your truck. Both finish options are available to give you the look that best suits your preferences. One of the best features of the Tuff Guard XT™ semi brush guard is its no-drill installation. On each application, the grille guard mounts with vehicle-specific brackets, integrating with the front end for a custom fit. The brackets use pre-existing holes and mounting points to reduce installation time, avoid difficult modifications and eliminate drilling. 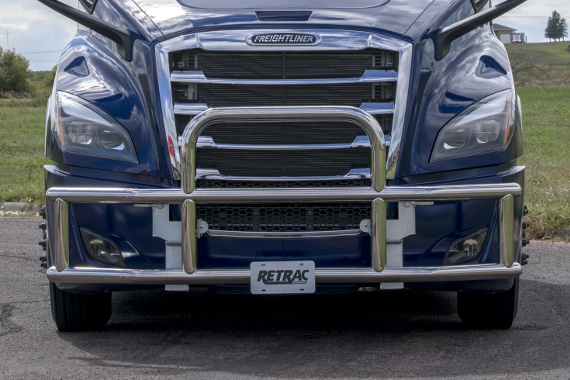 Like all RETRAC heavy-duty grille guards, the Tuff Guard XT™ is designed with a built-in fold-down feature. The mounting brackets are equipped with a heavy-duty hinge mechanism that allows the entire grille guard to fold down whenever access to the engine compartment is required. 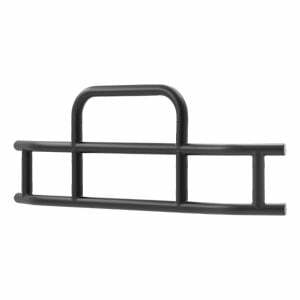 The Tuff Guard XT™ semi truck brush guard is compatible with our standard brackets or Maglatch™ brackets. Both can be folded down as needed for under-the-hood access. 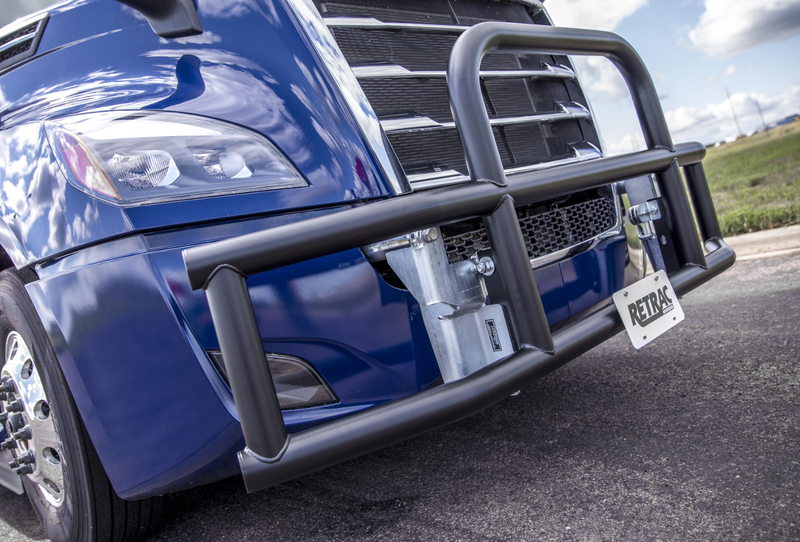 The MagLatch™ brackets are equipped with rare-earth magnets that hold the grille guard securely in the upright position. This provides greater convenience and ease of operation.